Heritage Fire is a Professional Fire Protection Inspection and Certification Company conducting National Fire Protection Association compliant Services. 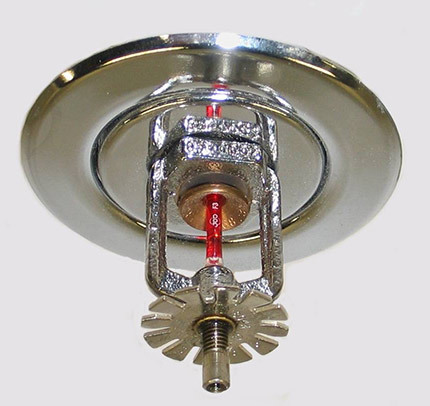 Fire Sprinkler Systems are required to be Inspected and Tested on a regulated schedule conducted every month ,Quarter (3 Months) or Annually and then the NFPA-25 5 Year Sprinkler Fire System Back-Flushing Testing. Or 5 year hydrostatic test. These Inspections and Testing are required to be conducted by a Licensed Fire Protection Services Technician to remain in Fire Code Compliance to help ensure the Fire Sprinkler System will function properly when it is necessary to fight Structural Fires and protect lives. We do this by resolving any current Fire Code Violations and Planning ahead by Designing Effective Commercial Sprinkler Fire Suppression Systems or Retrofitting Currently Installed Sprinkler Fire Systems. Yet, the optimal way to ensure a Business is always Fire Code Compliant is to conduct regularly scheduled Inspections having their Sprinkler Fire Suppression Systems Equipment Maintained.